the instructions say that the first time you power up the box you will receive a menu on the tv. We have not received this menu and cannot make it happen and so are unable to set the box up. All we ever get is "no signal"
This unit operates pretty well, however, when I attempt to record a series of programs, such as Heartbeat, each episode stops at least 3 minutes before them program ends. Any advice on this. Thanks. This is the 2nd box we have had. Our problem is that when we set it to record a few programs it sometimes does not record. Other times it only record part of the program. Is there a solution for thus annoying problem please ? On Sony Movie Channel each movie is broken up in the middle with five minutes of movie news. I am unable to record both halves. I get the message that the programme is already scheduled to record... however, it is NOT. Tried retuning... tried everything... Have not found any problem recording any other channelsâ. the hard drive crashed and the machine asked me to reformat the disk which I did try to do using the password 0000 as recommended after a moments hesitation the message installation failed and my recording and playback functions were disabled. I tried again this time using the master password 4725 with the same result. I have still not been able to record in spite of repeating the operation many times using both pin numbers. Do you have any advice or solution to this problem, as I was very pleased with its ability to produce very high quality recordings. unfortunately some valuable historic recordings I had saved to help me with my writing were lost. I keep getting a message come up that the hard drive needs formatting, then formatting of hard drive has failed.recording and playback functions are disabled. Can you help me with this? The manual indicates that it is possible to move recordings from the internal hard drive to an external USB device/ hard drive, but I have not been able to do this. Problem: the instructions say that the first time you power up the box you will receive a menu on the tv. We have not received this menu and cannot make it happen and so are unable to set the box up. - I had this when my unit was new. It was solved when I fitted a high quality HDMI cable - a bit expensive but Currys suggested it & it worked. Solution 1: Unless your box is faulty there is almost certainly a problem with your aerial or your connections. It is not unknown for an aerial to be perfectly adequate for a television but not for a freeview box. First of all check that all your connections are correct and that there are no loose plugs on your coaxial cable. If these are all ok you could try a booster, this often does the trick. Another cause of problems is if you have more than one device (ie: another television) trying to use the aerial at the same time. This often causes a problem If you live in an area where the signal is not great. If all this fails get a reputable professional to check the strength of your signal and if necessary fit a new or even an additional aerial. If you live in a house which has a loft you can even fit one yourself. I did this in my house and this loft aerial serves an upstairs television and freeview box with no trouble at all. If all this fails your box must be faulty. Problem: This unit operates pretty well, however, when I attempt to record a series of programs, such as Heartbeat, each episode stops at least 3 minutes before them program ends. Any advice on this. Thanks. Solution 1: you can set the recordings as a timer. To do this go to the next available episode in your program guide ( before it is due to start) and press OK. Select record program ( not record series)and press ok again. Now go to your Timer list and highlight the program. Press Edit( the green button)Select Record Type. Change "Event" to Time, Note, the name of the program will now be replaced by the name of the channel . You will now be able to extend the length of your forthcoming recording by selecting the start or finish time ( or both if you wish)and changing the time using the buttons on your remote. Now select Repeat and set your timer to Daily or Weekly depending how often the program is on. Now press the green button again to save your changes. Note, as you have already set your box to record Heartbeat as a series delete the existing timers before you do anything else. The recordings made as timers will only show the channel name in your recording library. If you have set repeat at Daily the box will record at the set time seven days a week even if the program is only on five days a week. You must also remember to delete this timer once the series is finished otherwise it will continue to record at the set time. Problem: This is the 2nd box we have had. Our problem is that when we set it to record a few programs it sometimes does not record. Other times it only record part of the program. Solution 1: Some channels are not spot on with their timing, Drama is one of the worst. You can solve the problem of the whole program (I am assuming this is a few minutes missing from the beginning or the end of a program) by setting your box to record a timer rather than an event. You can find out how to do this by reading one of the other solutions I posted on this site. If you mean that quite a lot of the program is missing you are probably losing you signal which may be an aerial problem, (see another solution on this site) signal loss would also account for the program not recording at all. Regardless of any exterior problems I have to say that this particular freeview box is not the most reliable anyway. I have had no end of trouble with mine ( which is why I have been able to answer several questions posed on this site) ant have just bought a different make which I am hoping will perform better. - A more drastic solution ( which I forgot to mention in previous posts) is to reformat the disc, this may cure the problems but you will lose all your recordings. Solution 1: Are you actually looking at your timer list rather than looking in your recording library ?.If not go to your timer list (press timers on your remote) and delete them all. This will not affect recordings you have already made. You will have to reinstate any recording you had scheduled for future recording. Solution 2: Are you actually looking at your timer list rather than looking in your recording library ?.If not go to your timer list (press timers on your remote) and delete them all. This will not affect recordings you have already made. You will have to reinstate any recording you had scheduled for future recording. Solution 1: I had that problem until I discovered that the Ariel cable outside had deteriorated in many locations and had to be repaired. Try this: In TIMERS delete one timer at a time, until the message will not appear again. I found it the quickest. You can also try to retune the box. All problems on this page have been submitted and answered by users. 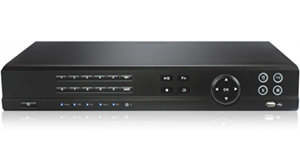 If you have a problem with the Logik L1HSTB12 DVB-T2 Twin Tuner 1TB , please submit it below and we'll post it here. Problem: On Sony Movie Channel each movie is broken up in the middle with five minutes of movie news. I am unable to record both halves. I get the message that the programme is already scheduled to record... however, it is NOT. Tried retuning... tried everything... Have not found any problem recording any other channelsâ. Problem: the hard drive crashed and the machine asked me to reformat the disk which I did try to do using the password 0000 as recommended after a moments hesitation the message installation failed and my recording and playback functions were disabled. I tried again this time using the master password 4725 with the same result. I have still not been able to record in spite of repeating the operation many times using both pin numbers. Do you have any advice or solution to this problem, as I was very pleased with its ability to produce very high quality recordings. unfortunately some valuable historic recordings I had saved to help me with my writing were lost. Problem: I keep getting a message come up that the hard drive needs formatting, then formatting of hard drive has failed.recording and playback functions are disabled. Can you help me with this? Problem: The manual indicates that it is possible to move recordings from the internal hard drive to an external USB device/ hard drive, but I have not been able to do this.